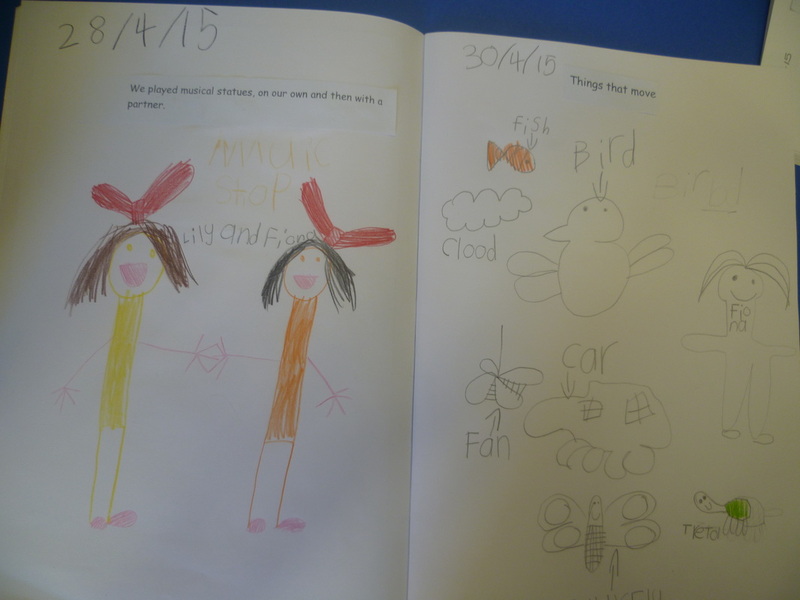 Week 1: The Reception students played musical statues individually and then with a partner. 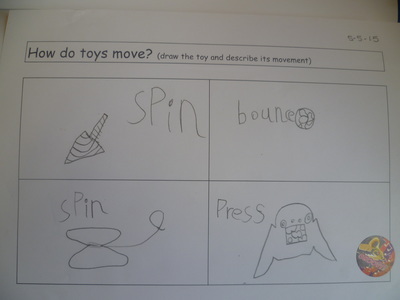 Students observed and identified what parts of the body voluntarily stops and what parts of the body involuntarily move. Did you know that limbs stop and eyelids involuntarily move? 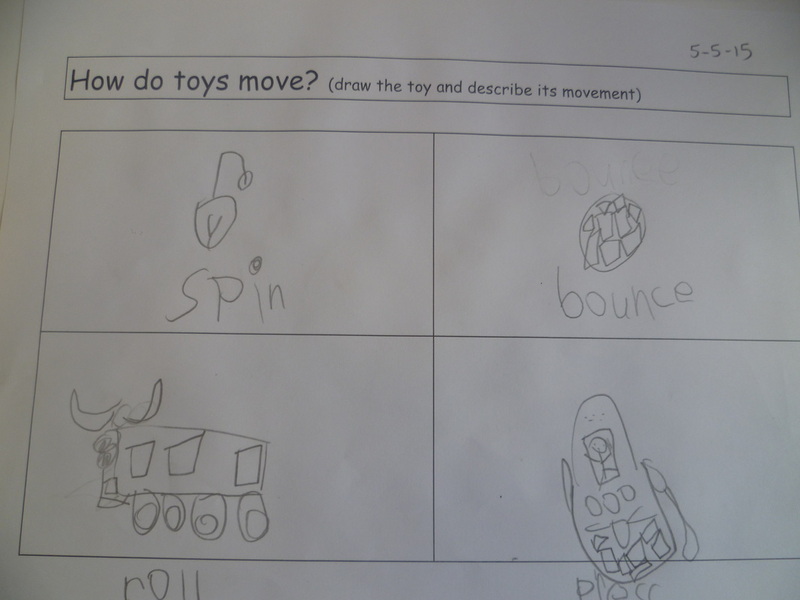 Students in room 24 played on the playground equipment and observed, identified and described what parts of the body were moving. 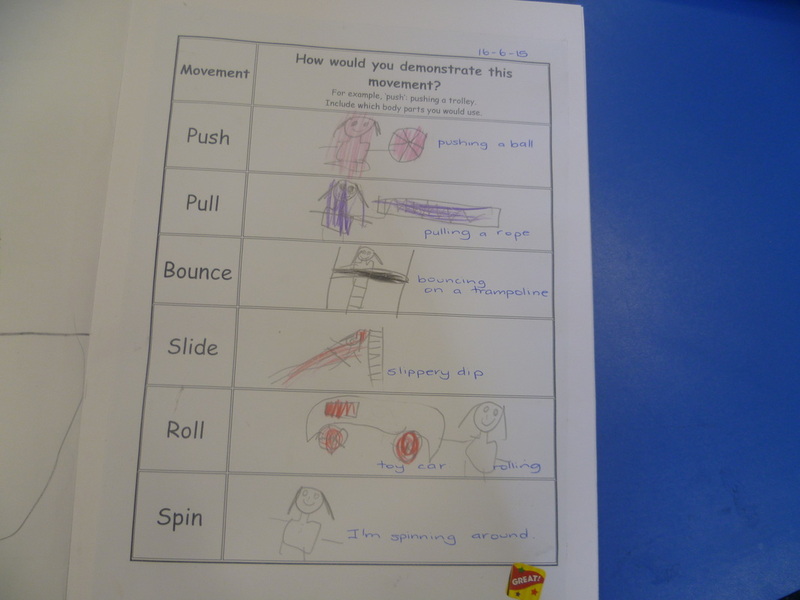 For example, you move your arms, legs and bottom whilst sliding down the slippery dip. 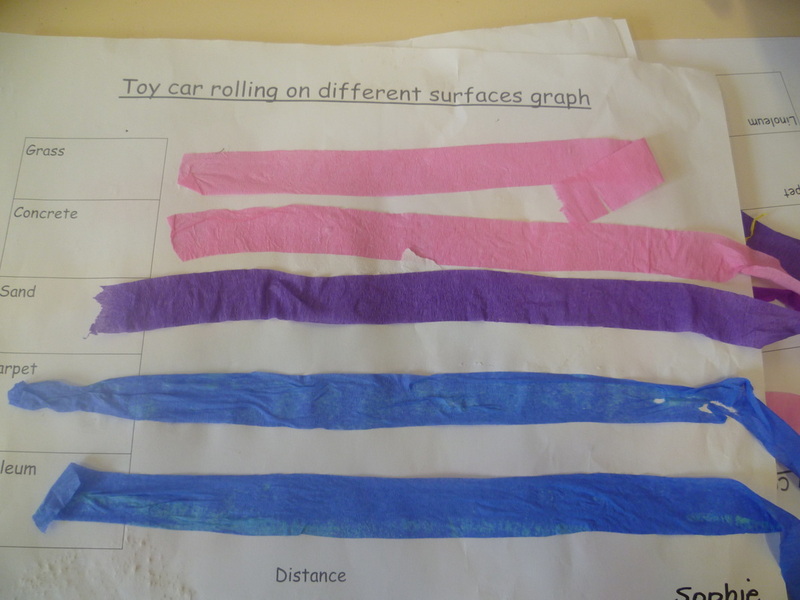 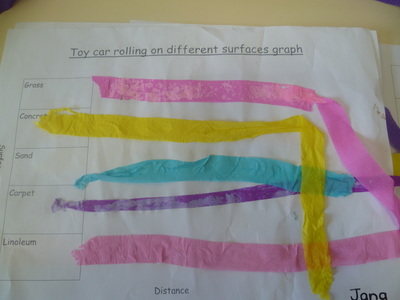 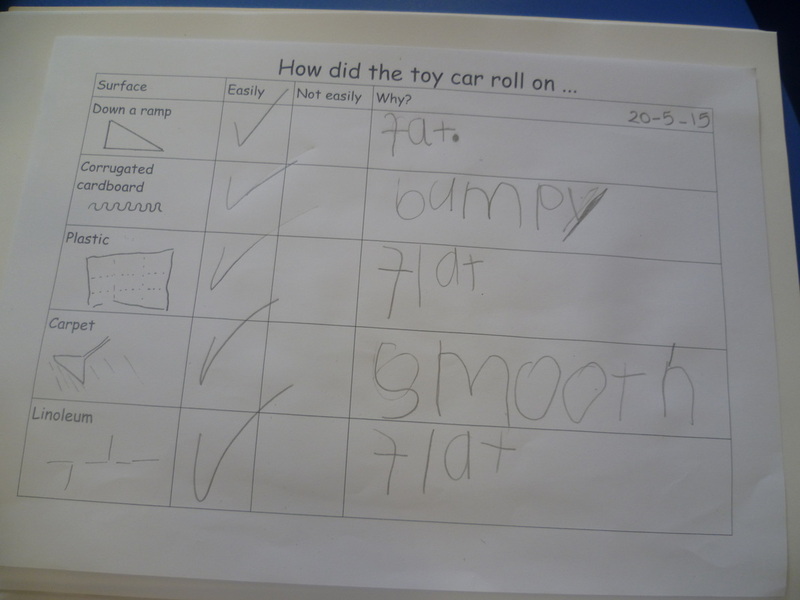 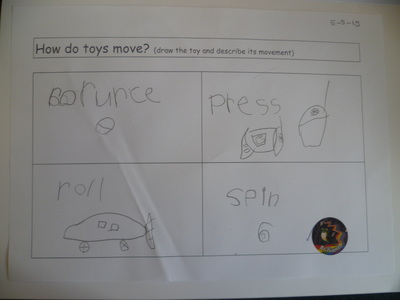 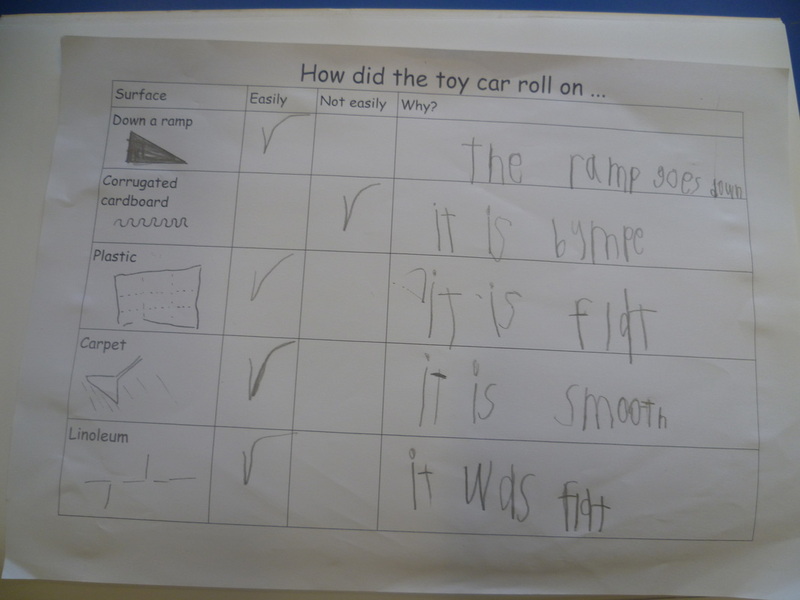 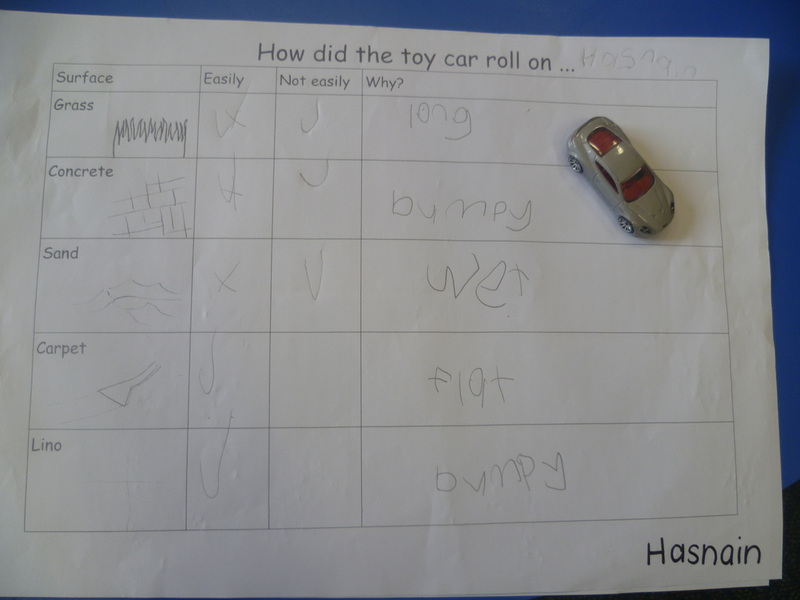 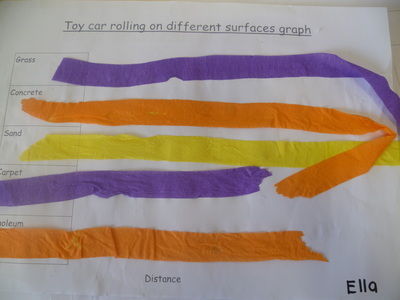 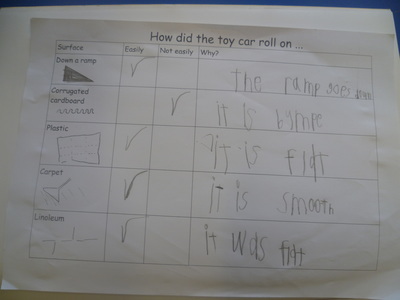 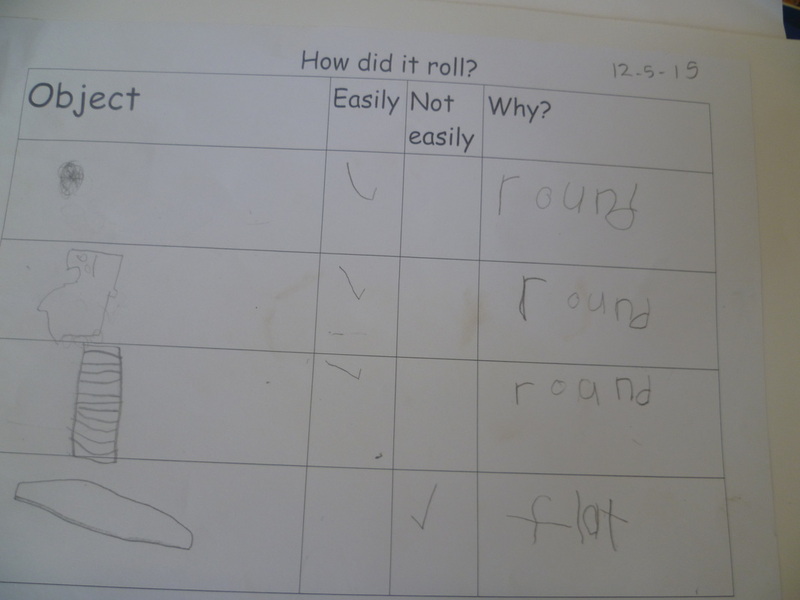 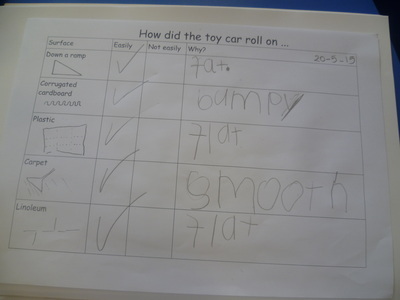 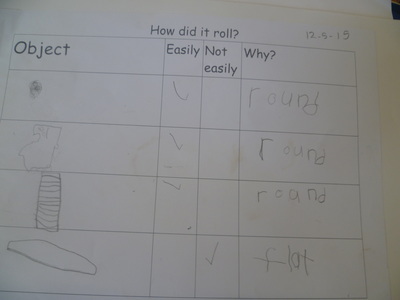 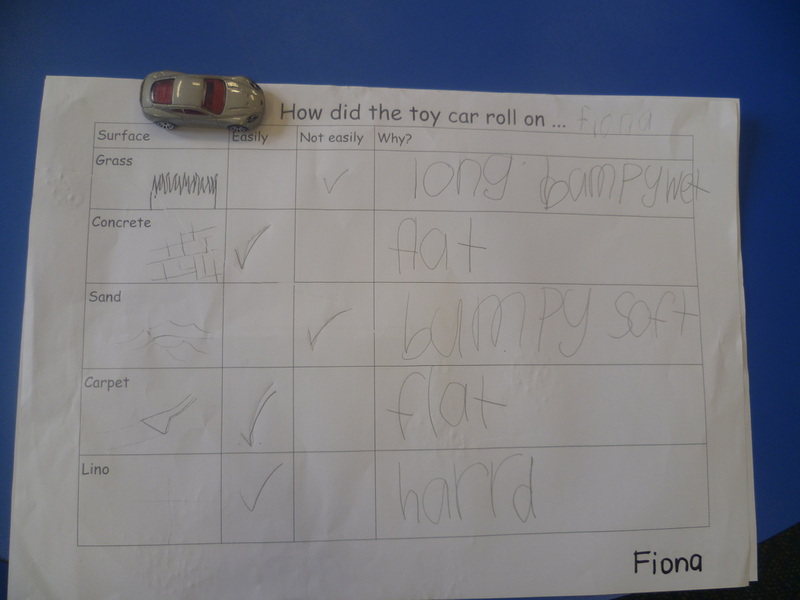 Week 4: The Reception students worked in pairs and investigated how toy cars rolled on different surfaces, such as grass, concrete, sand, carpet, lino, plastic,corrugated cardboard and a ramp. For example, did the toy car roll on the grass easily or not easily and why? 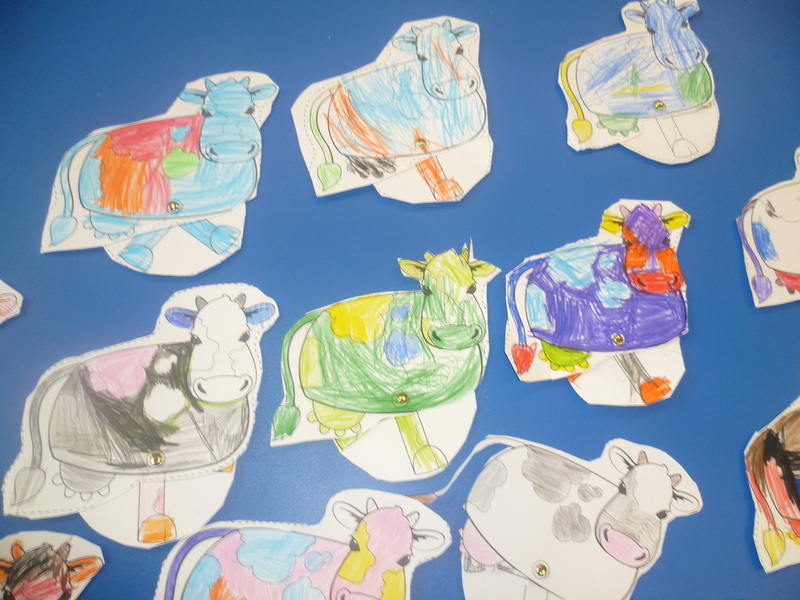 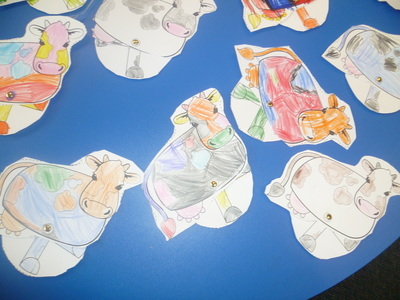 The Room 24 Reception students created moving animals. 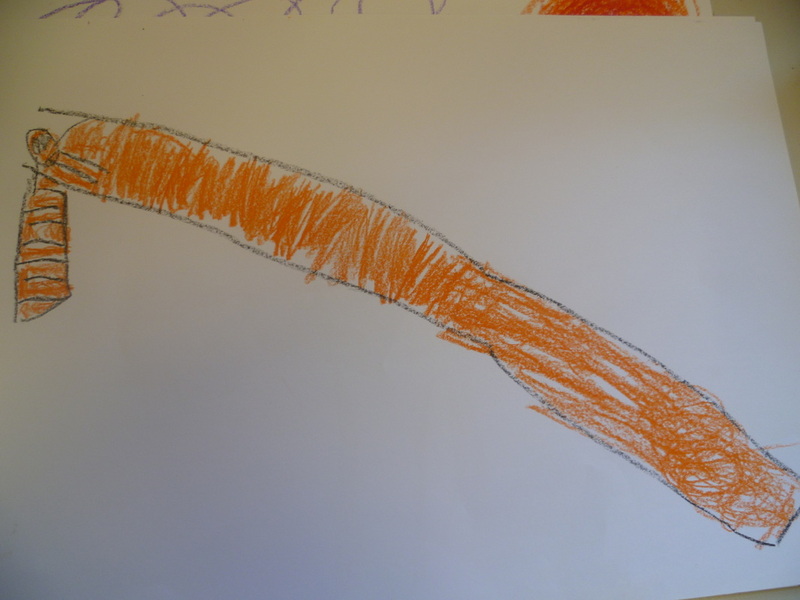 Can you guess which animal? 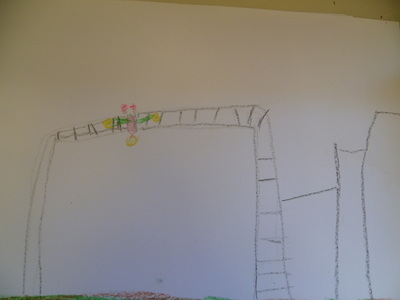 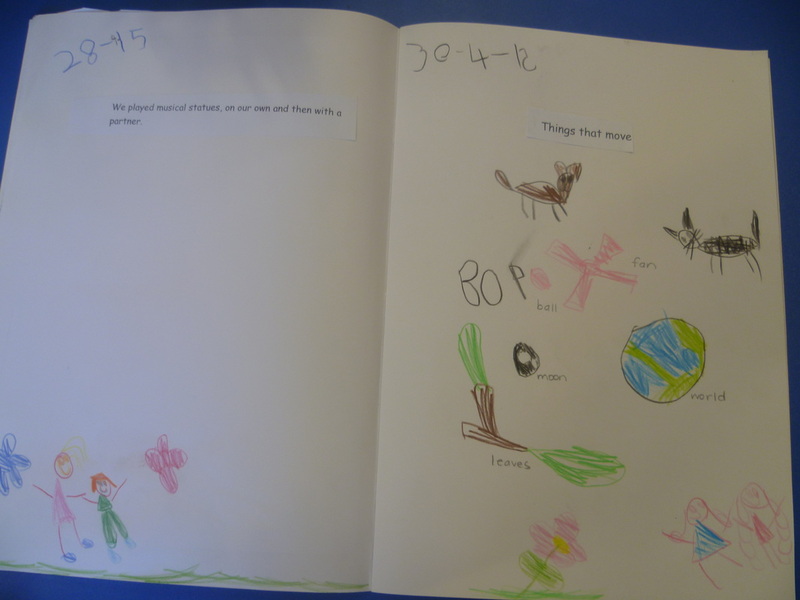 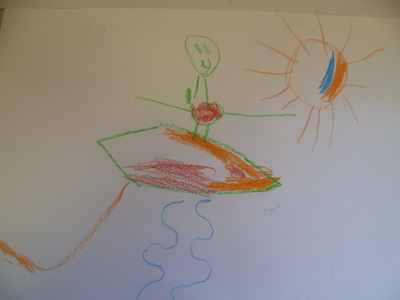 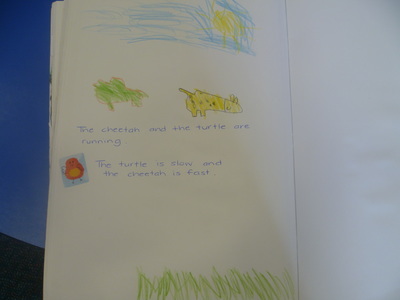 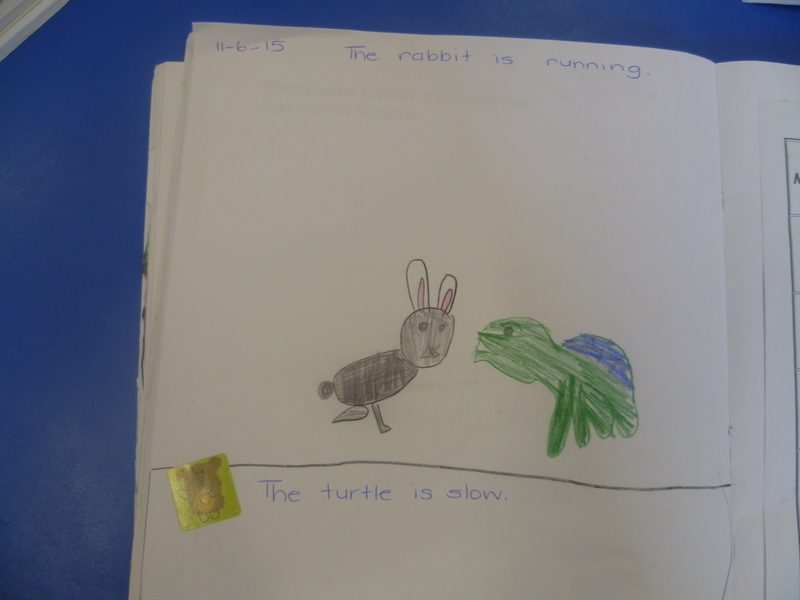 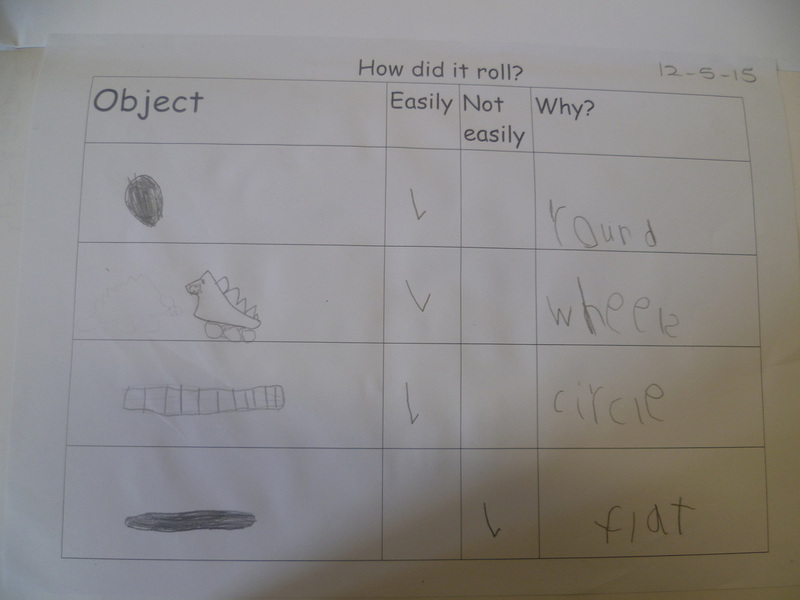 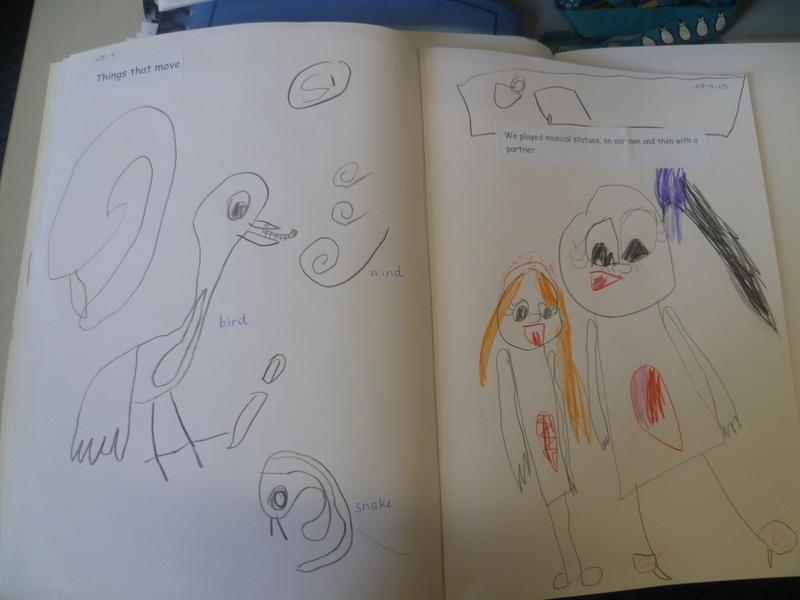 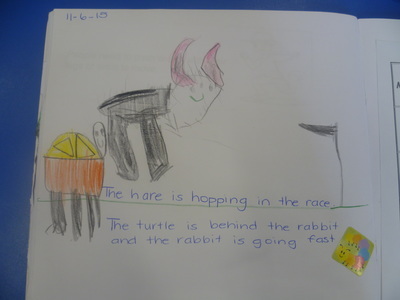 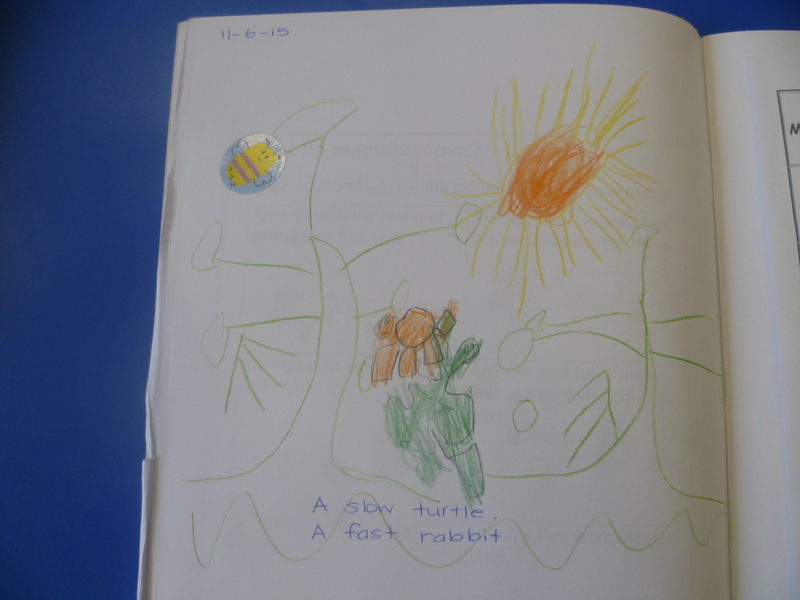 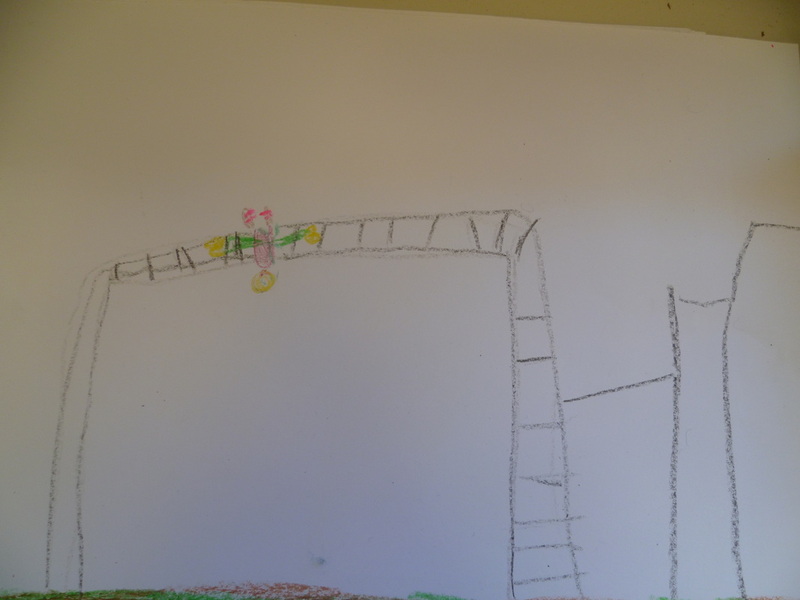 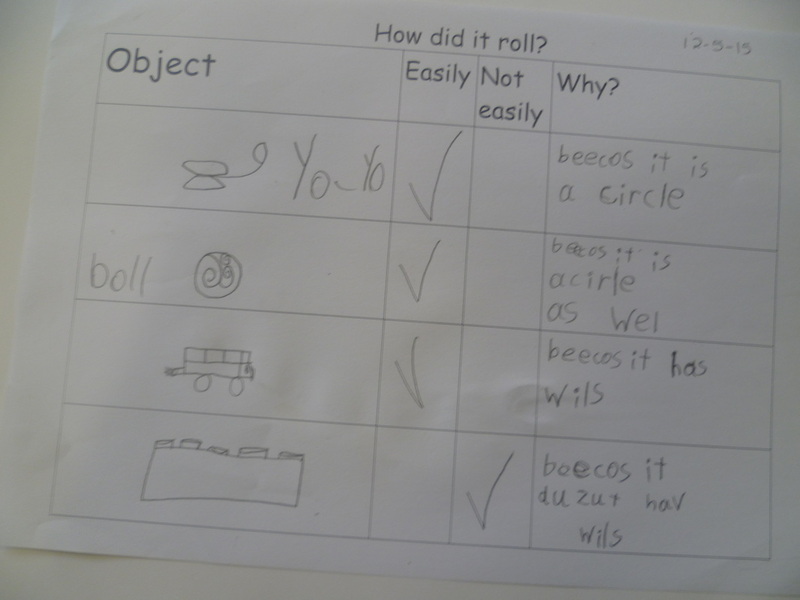 Week 9: The Reception students reviewed the term's inquiry and drew their favourite parts. Week 10: The Reception students moved to music acting like different animals, small and large.